It's that time of the week again- time to round up your fab projects and DIY's. 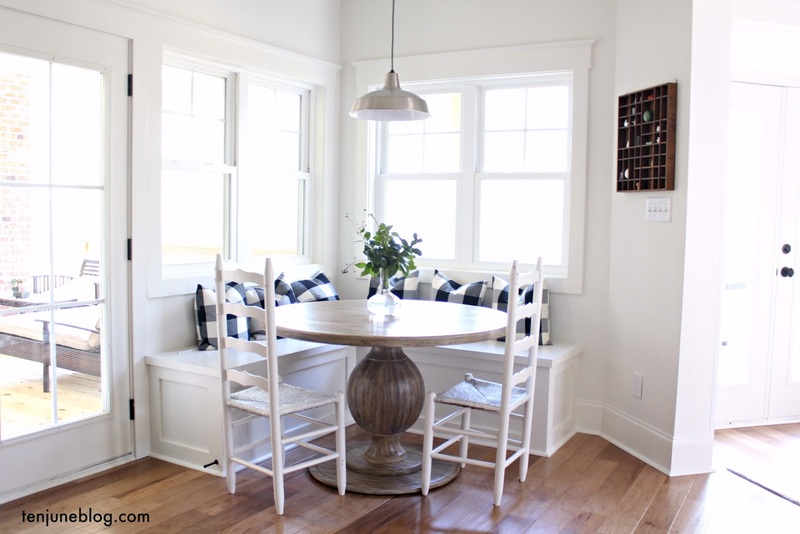 Let's start off with Jenn from Home Style Report's amazeballs kitchen makeover. Let's play "what's your favorite part?" I love the grout + tile combination and that bada$$ brass sconce. 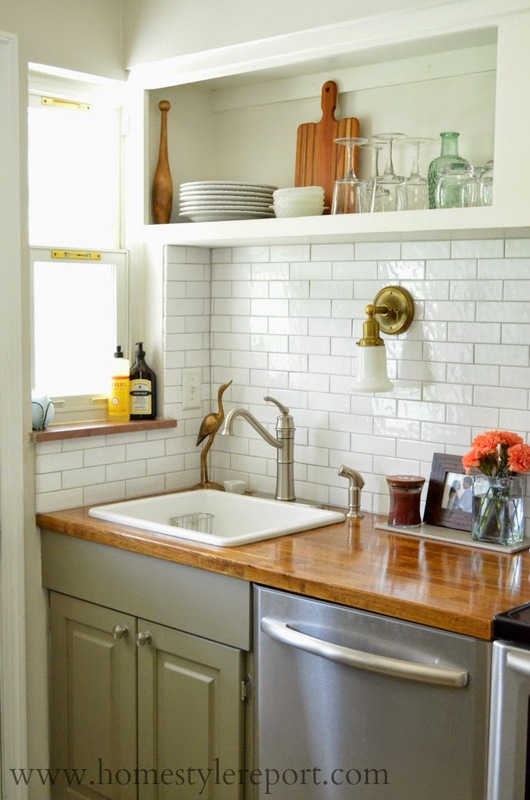 And those butcher block counter tops? Yum. 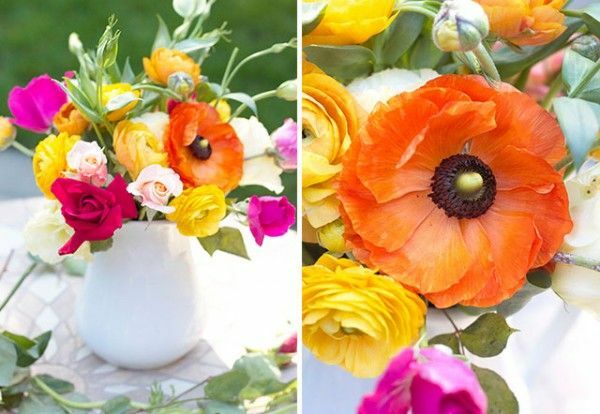 Michaela's gorrrrgeous spring flower arrangement pretty much makes me want to skip around a field of butterflies and scream out "welcome, spriiiiing!" I love it so much. Too much? Nah. Leather? Succulents? Copper? Mhmm, I think I like it. 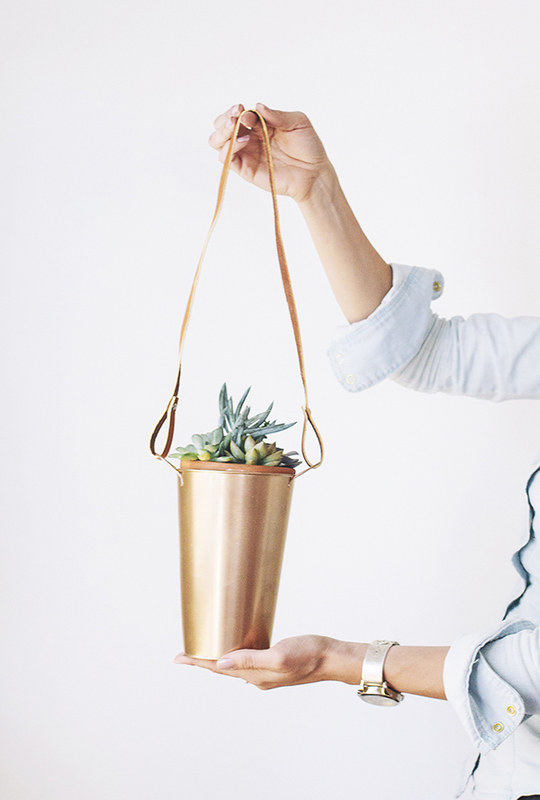 Check out Anna from In Honor of Design's DIY copper hanging planters. And, finally, I am officially ready to go ahead and design Little Lady June's "big girl" room just so it can include a flamingo pink bed like this little girl's room designed by John and Sherry at Young House Love. Or maybe David would let me paint our headboard this color? Either way, it needs to happen. So, so friggin cute. There's some talented folks out there, right? If you've whipped up something fabulous lately, be sure to send it my way via email (tenjuneblog@gmail.com) or Instagram (#tuesdaysattenjune). Gorgeous kitchen! Thanks for sharing these great projects Michelle! Oh my gosh! That chicken painting is great! Thanks for sharing my kitchen!!! Loving your Fashion Snapshot today too! Aw thanks for sharing my flowers! :) Love that kitchen so much!! And Anna's succulents…yes. Love that kitchen! It's beautiful!